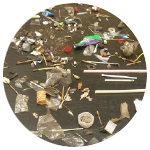 An estimated 80% of marine pollution comes from land and STORMWATER runoff is one of the MAJOR pathways. Stormwater runoff from existing piping infrastructure in our cities and towns largely flows untreated into our marine environment. Plastics and other pollutants such as cigarette butts caught up in this runoff are having a drastic effect on water quality and marine life. If plastic & other polutants are stopped from reaching the stormwater system , they are stopped from reaching our waterways. 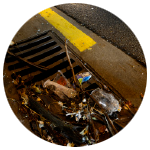 Our innovative catch basin filters sit inside stormwater drains & when it rains, catches & retains the plastic and litter caught up in the runoff before it can reach the rivers, lakes and oceans. The LittaTrap is designed to capture all particles larger than 5mm or smaller with optional liner. Installing a LittaTrap can reduce the risk of stormwater infrastructure blocking further downstream or act as pre-treatment for other treatment devices. The LittaTrap is easily maintained by hand, reducing expensive maintenance costs. Easily retrofitted into existing catch basins. How does the LittaTrap work? 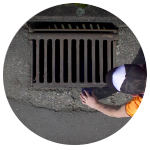 By installing a LittaTrap inside a catch basin, all plastic and pollutants are retained inside the patented basket. 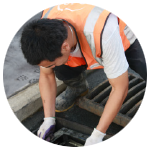 A LittaTrap can be installed into most catch basins, and installation is a simple process. The LittaTrap is purposely designed to be lightweight, so once the basket is full, it can be simply lifted out and emptied, and then replaced. All treatment devices require maintenance & due to the variable nature of stormwater pollution, maintenance frequencies can vary . It is recommended to inspect your LittaTrap™ frequently over the first year of operation to determine maintenance requirements. The LittaTrap should be maintained when it is approximately 2/3rd filled with plastic and pollutants. REPLACE the LittaTrap securely back into surrounding frame and seal, and close grate.